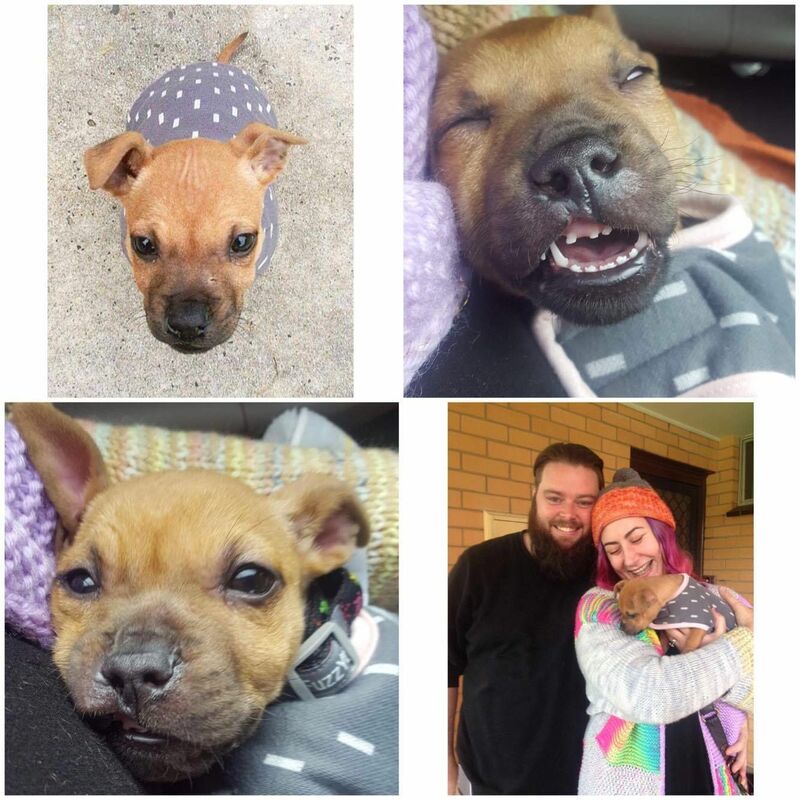 Staffy-Cross Leeloo must consider herself the luckiest pup in the world after being adopted to Brunswick-based parents Aisling and Elliot Wood. Leeloo is the latest graduate from the Ararat Pound after being rescued by Mr and Mrs Wood following a tough start to her young life. Born with an unusual cleft palette, she was surrendered to the pound and in need of a second chance. “We were scrolling through the PetRescue website when we saw her little face and my husband instantly said ‘that’s my daughter’," Mrs Wood said. The couple eagerly made the two hour trip to Ararat to meet their new edition and Mrs Wood said it was love at first sight. “From the minute I picked her up for the first time she has not left my side,” she said. Leeloo is certainly is great hands, with Mrs Wood having plenty of practice pet sitting for the last 18 months and soon to commence a Certificate III in Dog Behaviours and Training. “I may have gone a bit over board. I dedicated a room to her with baby gates, a crate, dog bed, toys everywhere,” Mrs Wood said. “The dog blankets in the store weren't soft enough so I bought baby towels and baby blankets. I spent a fortune but she now has the coolest, decked out activity room complete with a little wardrobe of doggy jackets so she doesn't get cold in Melbourne winter. Ararat Rural City Council Mayor, Cr Paul Hooper said Leeloo’s story is the perfect example of the success of Council’s subsidised dog and cat adoption program. “As a ‘no kill’ pound we try to find as many homes for animals as possible by either adopting them out or sending the animals to rescue groups who we have agreements with,” he said. “The cost of adopting a dog from the Pound is $100, and a cat is $50.00. This subsidised cost is Council's way of giving impounded animals a second chance at finding a new loving home just like Leeloo. The animal is desexed, vaccinated and microchipped for this cost. “The only other cost for the new owner is the applicable registration fee where the animal is to live. For more information visit www.ararat.vic.gov.au/services/animals-pets/pet-adoption and to follow Leelow’s journey at her new home search leeloo_the_clefty on Instagram.